This month, I issued a challenge to the Gazette Roundtable that I thought would spark an intriguing conversation around the age-old Adventureland debate, Dole Whip or Citrus Swirl. What I stumbled upon was an almost paralyzing brain freeze. Some had never had a Citrus Swirl, while others hadn’t had a Dole Whip. Then there were those, I’m looking at you AJ, who gave me a good chuckle by comparing the decision to Sophie’s choice. In the end, only one member (aside from myself) could actually choose one and give a response. So, I’m going to give you their response below, as well as my own, but these responses are only the tip of the ice cream cone and a bit one-sided. All of this is to say that today, more than any roundtable before, is in desperate need of your thoughts! Roundtable Topic: Which of the classic Adventureland ice cream treats, Dole Whip or Citrus Swirl, do you prefer and why? Roundtable Contributors: Melissa Loflin (Makin’ Memories) and me. Melissa – Yes, yes, I am one of those who never tasted a Citrus Swirl before. Scratch that off my Disney Bucket List because on July 10th I did my research for this roundtable. Now a Dole Whip on the other hand I knew all too well. At least I thought I did. Let's go back to the good stuff. Because my husband had yet to try a Dole Whip (we go pure pineapple, the only way to go Dole Whip in my opinion) or a Citrus Swirl I made him taste test both. When he took that first bite of the Citrus Swirl, after pausing a moment he turned to me and said he just had an "Anton Ego moment" (ala Ratatouille) where he immediately flashed back to his favorite childhood treat made by his mother: frozen orange juice Popsicles. I on the other hand flashed back to my favorite childhood ice cream treat, the orange creamsicle. Now while I always thought I loved the Dole Whip, we neither had such a reaction. I had forgotten how tart it was, all good memories washed away by the Citrus Swirl. I think my husband hit it on the nose when he related the whole experience to that resolution scene in Ratatouille. Food that takes you back and brings fun, happy memories to mind are the best foods. For us it was a no brainier; the winner is unmistakably the Citrus Swirl. Ryan – For years I have pined for the Citrus Swirl of my childhood. In fact, early on in the Gazette’s life I made a plea to return from the sherbet and ice cream incarnation to its original form in a segment entitled Save Our Swirl (S.O.S.). It wasn’t long after that editorial that the Citrus Swirl disappeared from the Sunshine Tree Terrace for good. I’d love to say that there were tears of joy when I heard the Citrus Swirl had returned last year, but there weren’t. The tears would have been less embarrassing that the rhythm-less spasming that I tried to pass off as a happy dance as I paraded around my house. Between the loss and return of the Citrus Swirl, I had learned to appreciate the Dole Whip. The sweet bite of the pineapple infused soft serve was a unique combination that couldn’t be found elsewhere (except for Disneyland and more recently the Polynesian), and was a refreshing snack during a sweltering Magic Kingdom afternoon. But it was no Citrus Swirl. Part memory, part Floridian heritage, part delicious. The mixing of orange concentrate and vanilla ice cream is genius! The Citrus Swirl is my sweet treat of choice when it comes to the Magic Kingdom, and I’m almost certain I’d pick over just about any other snack in Walt Disney World. I may be partial to the Citrus Swirl, but the time that it was M.I.A. in the Magic Kingdom gave me an appreciation for the Dole Whip and those who love it. 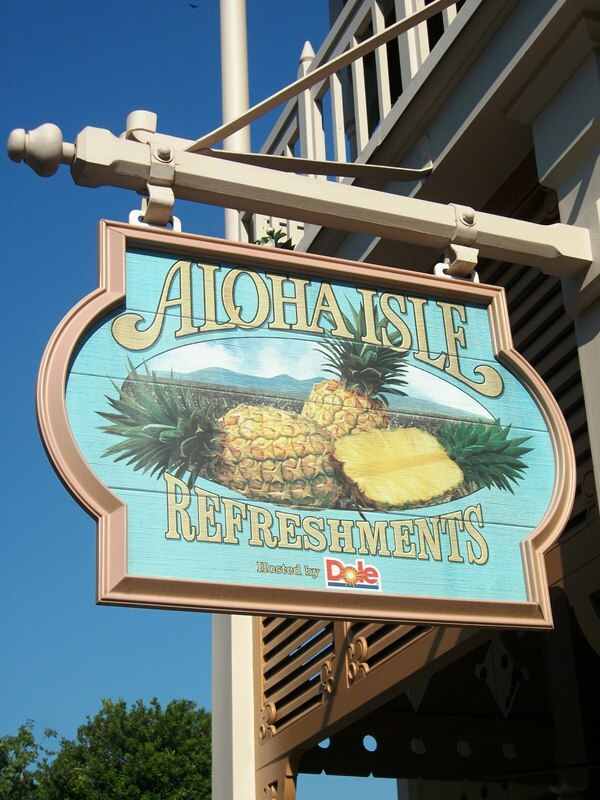 I know the Dole Whip dedicated are out there, and now is your chance to tell us all why you love the Aloha Isle Refreshments ice cream! 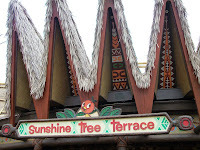 And to all of the other Citrus Swirl aficionados, let us hear why you love this twisted Sunshine Tree Terrace sweet! I'd have to say Dole whip. I was on Hawaii for a while during Optometry school and I visited the Dole plantation several times. 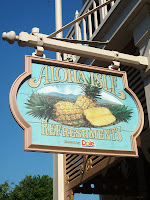 Since they sell Dole Whip there, every time I have it at Disney I'm transported back to Oahu. It's hard to beat Disney World, but any memory that connects me to Hawaii is pretty magical. I'm siding with the Citrus Swirl fans....I didn't realize how much I missed it until I had one in May, although Dole Whip was a great substitute during its absence.